Christmas 2015 was amazing, wasn’t it? You may be feeling slightly down in the dumps now that Christmas is over and it seems like the festive fun is coming to an end, but here ar Warble, we believe that the party never ends! The next stop for us is New Year’s eve – a great excuse for you to invite the friends and family around, indulge in some more drinks and snacks, and celebrate a fresh start. Don’t worry if you haven’t sorted out any entertainment for the evening yet, there is still time to book and there are plenty of interesting acts for you . 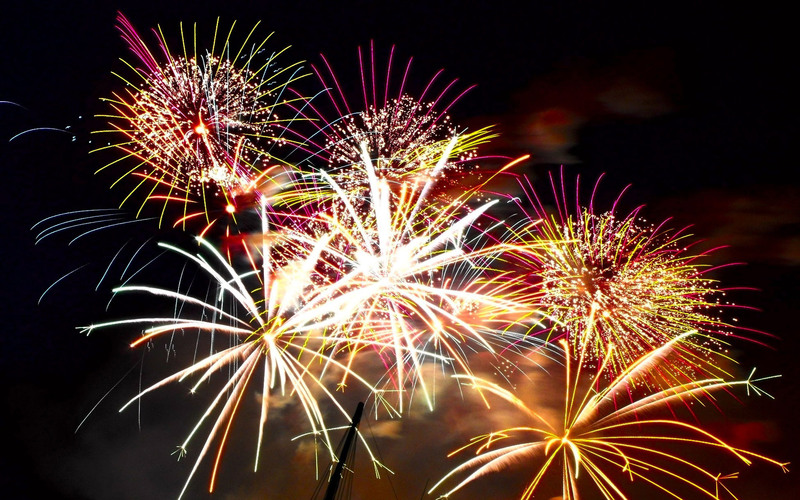 Take a look at our top 10 last minute ideas for your New Year’s eve entertainment. If you’re staging a party this New Year’s eve, then a caricaturist can really help to break the ice between people that may not know each other. Generally a caricaturist can draw 10-15 caricatures in an hour, making this a good choice for crowd entertainment. Caricaturists are also great if you’re on a tight budget as they normally provide their own drawing materials and any drawings done on the night are free for your guests to take home, making your event personal and memorable. 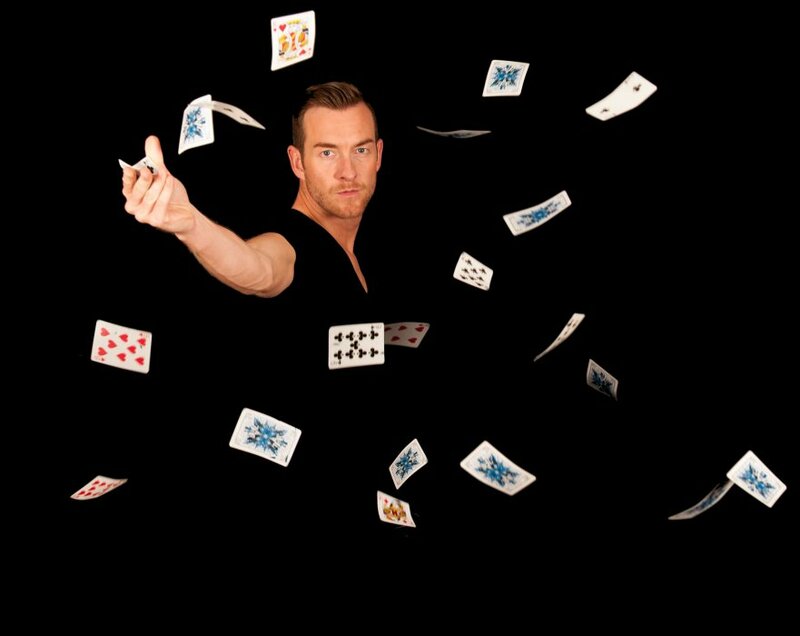 Magicians are another great ice-breaker for large events, but also very versatile and can perform at much smaller events for New Year’s eve. Magic might look amazing on television, but there is nothing like seeing live magic being performed right in front of your eyes. Close-up magic is great to get guests actively involved and keep them amused during the quieter times of your event. I bet you never thought that would be on the list! 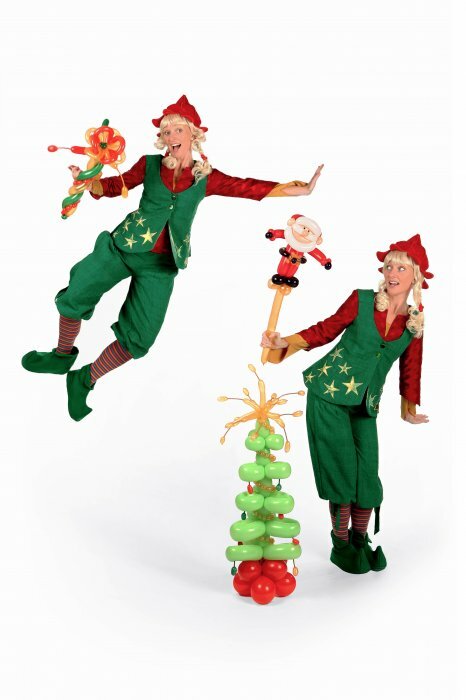 Balloon modellers are great value for money and it is amazing the type of things they can produce for you! They can make balloons tailored to the theme of you event, and are even happy to teach guests how to twist balloons themselves. This is a unique form of entertainment that is suitable for all ages. Of course, New Year’s eve events can be very classy, requiring some sophisticated entertainment. A Pianist is a really good option if that’s the type of event you have in mind this year. Most pianists are happy to discuss set lists with you in order to create the type of show you are after. Live music adds that extra spark to any event, especially New Year’s eve when your guests are expecting to see the year out with a bang. Rat Pack singers cover all the greats, from Frank Sinatra, Dean Martin, and Tony Bennet, to more modern music from Michael Buble. This is a great entertainment option if you want to entertain all ages for New Year’s eve, and Rat Pack singers can be hired as solo acts or with a band. Another classical option for your New Year’s event, but still able to adapt to your theme! 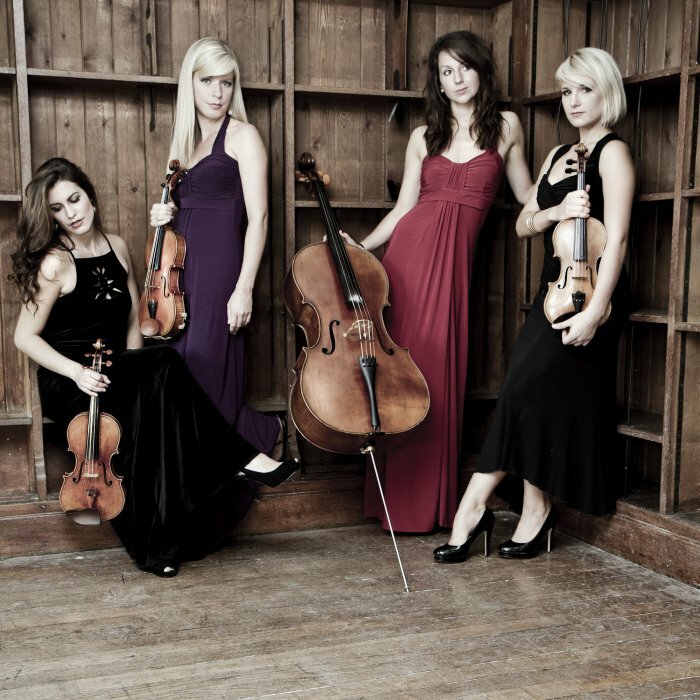 String quartets are a good option if you are on a tight budget but want that big band effect. Most quartet groups have options for trio, duo, or solo performances too, so it’s always worth asking for other options. Some quartets even boast electric instruments which can make the show even more impressive. From classical to contemporary music, jazz tunes or musical show favourites, a harpist is an extremely versatile act. If you think a harpist is just for a wedding, don’t be fooled! Harpists can play more modern music to incorporate into the theme of your New Year’s event. Although harps look like large instruments, a harpist will only need about 2 meters squared to perform, so even if your event is a bit smaller you could still hire a harpist. Take a look at Warble’s harpists if you feel like a more sophisticated form of entertainment for your New Year’s bash! The saxophonist is one of the most vibrant acts you could hire for your New Year’s event. They can play along to high quality backing tracks or as a soloist. Often concentrating on jazz, funk, and soul, our saxophonists are also keen to discuss more modern song choices with you to help make your New Year’s Eve event a hit. A saxophonist can also be a really good accompaniment if you plan to have a sit-down meal at your event. There are numerous dance groups across the UK who can perform for New Years Eve parties. Dancers can perform meet and greet sets, or produce a choreographed show to wow your New Year’s Eve guests! Various themes are available such as; Can-can, Moulin Rouge, Cheerleading, 1920s, Las Vegas, Bollywood, Street dance, Hula, Hawaiian, Rock ‘n’ Roll, Broadway, Arabian Nights, Wild West, James Bond, and burlesque. Most dance groups will perform along to music from a CD, so all you would need to do is provide the sound system and you have the perfect New Years Eve entertainment! If you fancy a singer but you are looking for something a little bit different for your spectacular New Year’s Eve event, look no further. A vintage singer could be the right act for you! Warble has many solo vintage singers, duos, trios and bands. Vintage acts can perform traditional vintage songs, wartime songs, or more modern songs in a vintage jazzy style – it’s entirely up to you! Most vintage acts will also have a range of themed costumes available to wear if you are going for a full-on themed party. From caricaturists, to burlesque dancers, to classical pianists, there are plenty of entertainment options for New Year’s Eve that you may not have already thought of. Just remember to book quick as time is running out!